Today’s post is spurred on by the The Chicken Chick and her battle to keep her chickens. Like many of us, Kathy Shea Mormino is walking the tight line of chicken-keeping legalities. Where many of us would have gotten rid of our chickens when the town said they had to go, Kathy is fighting back. I guess that’s what the town of Suffield, Connecticut gets when they take on a lawyer. Kathy is making headlines in her battle. She has made the front page of her local newspaper and has been interviewed by reporters. You can see her latest interview by Channel 3 News which describes both the town’s position as well as her own. With people’s desire to eat local and know where their food is coming from, farms are popping up all over. From farmlands to cities, people are wanting to keep chickens. Although you would think that the legal battle would only affect people living in apartments, it doesn’t. It affects people who have acreage and can’t even see their neighbors. Non-traditional farmers are doing their best to fight local ordinances regarding chicken keeping. BackyardChickens.com has an entire forum about whether chickens are legal in your area and if not, how to fight it. 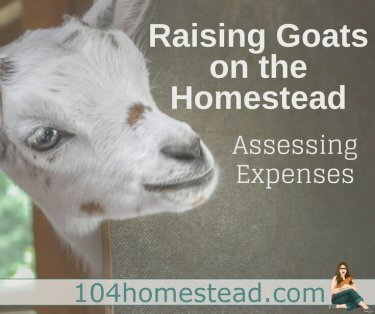 Many homesteaders (myself included) have a don’t ask, don’t tell policy. While I know I can legally house chickens on my property, I have not verified with the town as to the quantity and housing restrictions for them. Since several of the local police have stopped by to purchase eggs or comment on how cute my coop is, I figure I’m a-okay in their books. Another assurance that I have is that I always keep on good terms with my neighbors. This is especially true when I decided I wanted to add roosters to my flock. A clean and attractive coop and yard had kept neighbors from complaining, but the all-day crow sessions could have put even the most adoring neighbors on edge. The neighbors can’t be blamed for being annoyed. I went door-to-door and talked with my neighbors, explaining my desire to keep roosters, what my steps would be if they were too noisy (first being kept locked in the coop at night and second being kept in a night box). My neighbors were encouraged to come to me if they had any issues with the roosters or the chickens in general. This may be an odd comparison to make, but for the bad-wrap that backyard chickens get, I think this comparison knocks down a few of the “cons” many towns have. I have an indoor/outdoor cat. I could live anywhere in the country and be allowed to keep my cat. In fact, I could have three or four more just like her. My cat hunts. She kills the birds my neighbor attracts with her bird feeders. I am unable to keep her on my property and still allow her to be an outdoor cat. My cat affects my neighbors’ way of life. Thankfully, my neighbors like the cat and I (in fact the lady across the street often brings be baked goodies). I would love to completely free-range my chickens, but my chickens cross the road and eat the neighbor’s bird seed from her feeders. The neighbor doesn’t really care for this. I have modified my flock and yard to accommodate my neighbor. I clip my chickens’ wings and I fenced off the back half of our property. I’m able to make chicken-keeping work in a way I couldn’t with my cat. Yet my cat can live anywhere and my chickens cannot. I have a dog. She isn’t like most dogs. Yes, she barks when someone walks by our home. For awhile she barked whenever the new neighbors where outside. She doesn’t bark for hours. She doesn’t bark at night. In general, she is a pretty quiet dog. She does not affect the lives of the people who live near me. The dog down the street is not the same. That dog barks at every car or person that goes by. She is kept outdoors all day long into the late hours of the night. She howls incessantly. The dog down the street would be welcome almost anywhere in the country. My chickens sing when they lay eggs. Some like to sing their egg song for quite a while. They are still quieter than your average dog. They make no noise at night since they sleep in a nearly catatonic state (except the rooster, but his noise issues have been addressed). Where this obnoxiously loud dog can live just about anywhere, my hens cannot. I find this odd. I foresee Kathy Mormino’s battle to be just the start of a very vocal movement. The laws don’t make sense. People are starting to care about their food sources again. It’s the perfect storm for these legal battles. To support Kathy, the Chicken Chick, or to get more information about her legal battle, follow her site The Chicken Chick. Thats a great accessory for chickens. Sharing it with friends. Oh, how I wish I’d read this article a few weeks ago! We lost our beloved group of 10 hens because the mother of our new neighbor “mentioned” to the city that we had them. Their response was that since they now “officially” knew about them we had to get rid of them. We’ve had them for three years, and our neighbors loved them, and their eggs! I still don’t understand how a complaint from someone who doesn’t even live in my neighborhood was able to complain and get them removed. I’m heartbroken and miss their egg songs everyday. We live in the middle of farmland, and I support ALL backyard chicken owners!! I am so sorry to hear about the loss of your birds. I believe everyone should have the right to keep poultry. I cannot tell you how pleased I am that my anonymous response worked so many into a frenzy. I find it reprehensible that she has begged her followers (those who signed up to get her blog) for money. Fine if people can afford it, but some who responded said they couldn’t send anything until a paycheck was received. What does that tell you? Ms Mormino was audacious enough to publish the neighbor’s email address in one of her rants. That’s what really sent me over the edge. I know their physical address is public record, and it probably wouldn’t be too difficult to find a phone number, but an email address is not something considered public record and should be considered private. She is using bullying tactics, although she presents herself as being the wronged party. Oh wait! She’s a lawyer. It’s not up to me to determine how many chickens should be allowed and considered “backyard chickens”, but many municipalities limit the number, often around 6. and do not allow roosters at all. She may live in a farming community, but that does not mean every piece of land is zoned for agriculture. People who don’t keep chickens are likely aware of noisy roosters, but my hens are often very noisy when announcing an egg. Some of you seem to have 100% certainty that you have identified who I am based on my writing style. Hmmm. Very interesting. You should not quit your day jobs and hire out as a private investigators. I am among the majority of Virginians who support The Chicken Chick completely!! Thank you for a tho thoughtful and well-written article addressing backyard chicken keeping and Kathy’s fight against a town who first approved her leasing land to have the 5 acres they require to have chickens (though only two acres is required to have two horses), even approving the building permits for her chicken coops, then changing their minds and stating she has to own the whole five acres. She only has around 40 chickens, so clearly does not need to have that much space. I just wish I could have more, my city only allows 4 hens for a city lot, even though I am on a larger lot, the size doesn’t matter. And yes, the barking dogs make a lot more noise than my gals. As for Anonymous, lucky for you that you are zoned agriculture, most of us don’t have that luxury. She does actually breed her chickens, so roosters are necessary and also inevitable when hatching eggs. She does re-home the extras as needed, knowing many others with farms around her happy to take them from her. As for publishing the address of the complaining neighbor, he is actually on a public hearing video, giving out that information, so it IS actually public record. Don’t you think a lawyer would know the legality of that? You really should find something better to do than stalk Kathy, like maybe let your chickens out to free range a bit more. It’s quite obvious who the anonymous dissenter above is, she has very distinctive style of syntax, and the rant content gives her away. If you like your eggs Daily, and Fresh, choose who you get your information from carefully. There are some very unstable people out there in chicken bloggerland. Thanks Bess for your mudslinging comment but this is the first time I’m seeing this blog post and the comments. I was just told about post this by a fan. This entire situation has absolutely nothing to do with me. It is between Kathy, her town and her neighbor. Kathy has taught so much about chickens to so many people. There’s chicken bloggers who shew their chickens into a smelly horse trailer every night and call themselves expert. Kathy is true and tried chicken expert who has helped thousands of people become better chicken owners. Thanks for for article. I had not thought of the horses, dogs and cats annalogies, but they are right on. Thank you for a great article and we should all stand behind The Chicken Chick. “United we stand, divided we fall,” was taught in 8th grade Social Studies class. It’s a great lesson. This was a wonderful and well-thought-out article.Thank you for your clear arguments and illustrative comparisons. I too stand by Kathy Mormino and find myself shaking my head over some of the vitriol being slung. I started out with 9 girls. I’m now (after several losses and acquisitions) up to 17, three of which turned out to be roosters, though they’re still young. I ask my neighbors at every opportunity if my roos are wearing out their welcome yet I still fear they may be bothering them and they’re just too nice to say so. I plan on moving them farther away from the closest neighbors as soon as I can manage it just to be sure. Well said Angie Wheeler! Turn a blind eye today on matters that you feel do not pertain to you…..who will be left to defend your rights tomorrow? I find it sad, that everyone is not backing Kathy, not just chicken folk. This is about a whole lot more than just the birds. EVERYONE better wake up and take a look around as to what is going on, in the small towns. It all starts there. Kathy you keep up the good fight! I find it intriguing that you claim to have first hand knowledge as to whether Kathy consulted her neighbors in reference to keeping roosters. How is it that you have acquired this knowledge? Did you ask Kathy or her neighbors? I find it equally amusing that you have nothing better to do with your time than mudsling erroneous accusations and make assumptions about her actions. Obviously you follow her page. How is it that you have completely missed the fact that she has educated and helped THOUSANDS of people become responsible educated chicken keepers? Is this ignorance on your part or just spite and envy? Thankfully she is not one of those bloggers that usurp information from various sources and spew /publicize incorrect and potentially dangerous information. How is it that you also seem to be the resident expert on what is considered a backyard chicken keeper versus a farm? I would highly recommend that if you are going to take the time to mind her business that you make sure that you are fully informed and present accurate facts, especially when in a public forum. In regards to the chicks she is hatching and the possibility of roosters, why is this a concern to you? A responsible chicken owner like Kayhy takes possibilities such as these into account, prior to hatching eggs rather than leaving them to the fate of Craig’s list. It’s unfortunate that you are so focused on pointing fingers that you fail to see the good she has done for chicken keepers world wide. MaLiesa Anderson, Team Chicken Chick! This is perfect reply! Not a great mystery who “Anonymous” is. Jessica, I want to say Thank You for your thoughtful article about The Chicken Chick and her fight to keep her chickens in a town that IMHO has some kind of vendetta against her. Many of us have learned so much from her well researched, and beautifully written information. I also want to say to Anonymous…. I truly don’t think you are all that “anonymous”, I suspect we all know who you are and that jealousy, envy and greed are your gospel. It is frightening that in today’s world of the internet, there are people such as yourself in competition with another…a competition you battle alone, btw. Kathy Shea Mormino is beyond and above the need to compete with you. I am not afraid to sign my name to my comment, as only a devious, lying, insecure and jealous person would need to hide behind their shallow words anonymously. ‘Meh’ back at ya. Nobody who signs themselves “Anonymous can be taken seriously!! Really??? I live in a rural area that is not zoned agricultural (although it used to be before the rich city folk who wanted to live the country lifestyle without the actual country life bought all the land up) and I keep a backyard flock of over 50 birds and growing. I am not a farm in the traditional sense. I have a very loved and babied group of ducks and chickens who are truly pets with benefits. I too would fight tooth and nail to keep my flock. And fir the record I have roosters, they weren’t acquired intentionally but I do have them. I live in the COUNTRY…much like Kathy and it only takes a single rotten apple to spoil the whole bunch because they don’t like coubtry sights, sounds and smells in THE COUNTRY. Meh. She is trying to keep upwards of 40+ chickens on her property, which is not zoned for agriculture. If she wants to have a chicken farm, complete with your afore-mentioned roosters (about which she did not consult with her neighbors), she should live on a property zoned appropriately. I have “backyard chickens” (she pretends hers are classified as such), meaning a few hens and a rooster AND I live in an area zoned to allow this. Many urban settings now allow backyard chickens, meaning a handful of chickens, but roosters are never allowed. She has deluded her followers into thinking she is sticking up for those wanting to keep backyard chickens, but she really has a farm going. The number of chickens she has is also growing, if the photos of newly-hatched chicks is any indication. Wonder how many roosters she will get out of the latest batches? She has painted her neighbors as evil chicken haters and herself as a poor, downtrodden victim. She is nothing of the sort and has unleashed a huge amount of vitriol towards her neighbors, the zoning board, and the town selectmen by publishing all their email addresses. The email for the zoning board and selectmen is public record. Probably not so much for the neighbors. I appreciate that you took the time to read this post and formulate a lengthy response. Considering all of the insider information you seem to have on Kathy, I imagine you must know her beyond the scope of her blog. I believe the issue at hand for her is not whether she is operating a backyard flock or a farm. She mentioned living in a farm town. The issue for her situation is about the grey area regarding the legalities of owning versus leasing land, brought on (in my opinion) by a prejudice towards people owning chickens and desiring to live a self sufficient lifestyle. I find it truly appalling and jaw dropping that other back yard chicken folk would not support this movement. It shouldn’t matter how many chickens the Chicken Chick or anyone else has as long as they are taking care of the flock. I have seen live web casts, photos etc. on the Chicken Chick’s blog and honestly, I envy her and how clean and neat she has everything and she has adorable chicken houses set up. I mean, seriously, if chickens could smile, her’s are. I believe as fate should have it that anyone living in the Chicken Chick’s town should be so lucky that this would happen to a lawyer. She is paving the national chicken path for other’s and she will forever be remembered as the Chicken Chick who made it possible for so many others to have a flock. We took in some chickens as rescues from the NSPCA. We were clueless. Thanks to the CHICKEN CHICK, our flock is thriving, very loving pets that lay us eggs daily. Everyone should have it as good and as free. (btw we live on a half acre in the middle of Las Vegas). As for anonymous, how embarrassing for you to say what you did, why else would you do it in secret. You should be ashamed of yourself for not supporting everyone’s right to have chickens. I’m a logical person, I still can’t understand how another person, with chickens, could be so mean towards another chicken keeper. We have to protect our flock against coyotes, which is natural. Protecting against people predators is not natural. It says ulterior motive to me. Self dealing will never get one very far. Chicken Chick – we are forever grateful for all your tireless effort, chicken keeping expertise and knowledge so freely given to us all. Thank you again. I too find it shocking, but I am a “let’s all hold hands and sing coombaya” sort of girl. Dear Anonymous, please don’t come here and start your mudslinging. Kathy Mormino isn’t deluding anyone. She IS sticking up for those of us who have backyard chickens. She’s fighting what is a ridiculous law (horses are allowed but chickens aren’t). The law as written says she can’t have a farm. What exactly is YOUR definition of a farm? I grow vegetables, doesn’t that make my yard a farm as well? Painting herself as a “poor downtrodden victim”?? Are you delusional or what? That’s the last thing in the world I’d call her. She’s a hero to many. It’s a shame that in this battle we all face to have backyard flocks there has to be the one stirring the pot in order to feel important and cover their own insecurities. I have nothing to gain from standing behind her so don’t accuse me of having some motive. She has helped myself and thousands of others fall in love with this crazy world of chickens. I just get sick of your drama. You have gone as far as complaining to the town of Suffield about her chickens and you live hundreds of miles away. The chicken chick owns and leases enough land to officially be a farm and has an approval letter from her city govt. She is a responsible chicken owner and a wonderful mentor for other poultry owners. I don’t know why things have changed since she was first given approval, but I hope she prevails. What hypothetical number of chickens changes chicken keeping from “backyard chickens” to “chicken farm”? Just wondering if there’s some magical number? I have almost a hundred chickens and don’t consider myself a chicken farmer. Thank you for shining a light on this topic with your readers. I appreciate your support. My situation is much more complicated than most and the expected resolution isn’t likely to be available to the average chicken outlaw. I spent many months working with the town to fashion a proposed regulation to the Zoning Commission that was reasonable. I offered a full course lecture on the facts and myths of backyard chickens to the commission, had plenty of grass roots supporters and fellow outlaws in attendance who testified in support of the proposal. I brought in experts to testify and made all of the dog noise and horse poop comparisons to chickens’. The commission members nodded and agreed with my proposal and how much sense it made…then voted against it. I live in a FARM TOWN. If I have this much trouble in a FARM town convincing elected officials to be reasonable, God help the rest of the country. Thanks again for your support and stay tuned for the outcome! It’s a very sad state of affairs when the vast majority of people in this country don’t know the names of their neighbors, and prefer to hide anonymously behind someone else’s badge and gun… rather than being a responsible adult, knocking on a door (maybe with a six pack of beverages in hand and a smile) and politely finding a friendly resolution to any grievances. 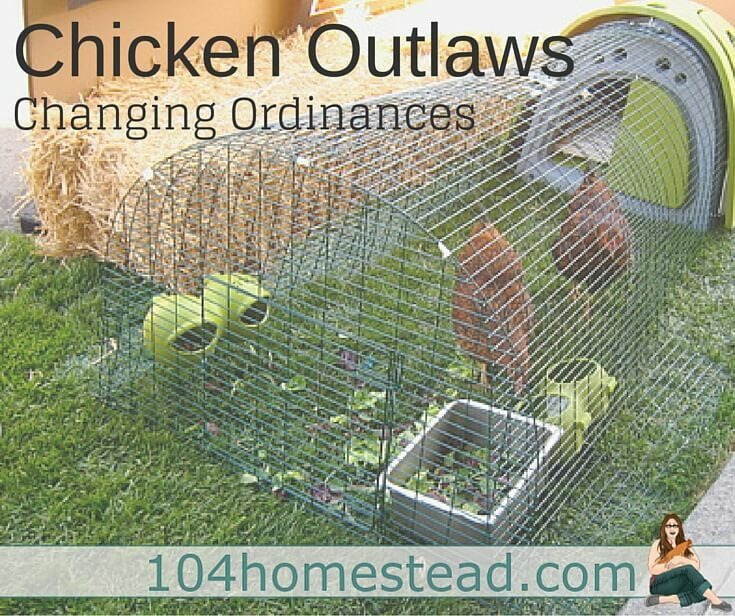 When I give my talks on backyard chicken keeping, I have a whole section on suggestions for civil disobedience to bring about healthier food systems, and how to approach town officials. I always recommend chicken owners who are under assault to request (through Freedom of Information Act if necessary) the town’s records on reported nuisance dogs. Noise complaints, property destruction, injuries, etc. When possible compare that to a nearby town of the same size that allows chickens and request the same police records regarding poultry. I’ve also read about successful changes when the right spokesperson is found. Perhaps an articulate, adorable 7 year old girl who stands at the microphone and asks the big ol’ meanies behind the desk, “Mister, my pet birds don’t bother anyone, don’t smell bad, have never bitten anybody, and help me grow up to be healthier with their clean eggs. Why are you taking my pets away away from me?”……..